So, you’ve purchased the yacht of your dreams. You’ve been given the keys (not literally of course) and your eye is firmly fixed on the horizon, imagining adventures to be had and seas to sail. 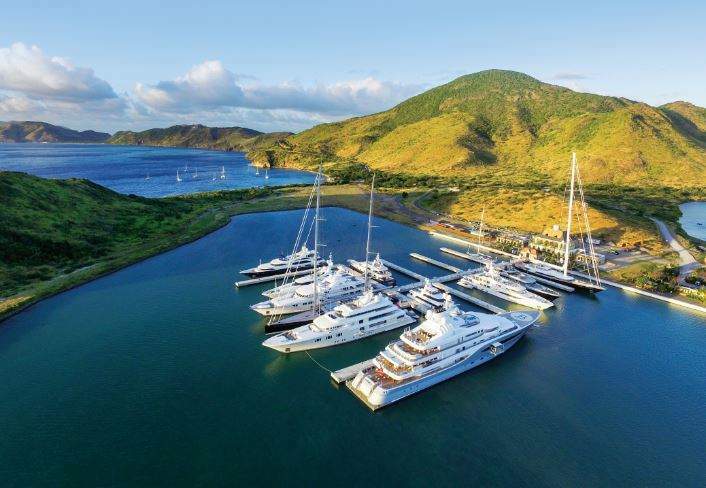 Though the experience of cruising the high seas is probably one of the reasons you’ve made this investment, you must consider where to berth your yacht. Most commonly, you buy a berth in a marina for a fixed term — it’s leased to you and this expires after a period of time, ranging anywhere from five to 20 years. 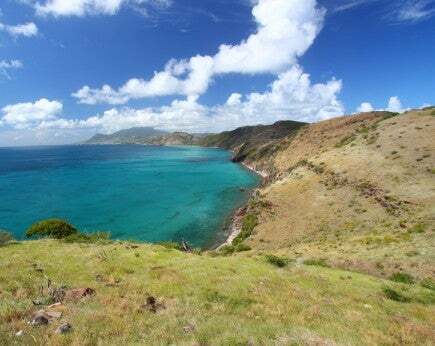 Christophe Harbour on the Caribbean island of St Kitts, however, is unusual in the fact it offers berths for sale with a deeded, freehold title. Though you may purchase a waterside home with a deeded freehold berth (this is particularly common in Florida), it’s rare to be able to purchase a single berth in this way. At Christophe Harbour, there are currently 24 freehold berths (ranging from 150 ft to 220 ft in size), with six new 350-400 ft berths planned for the end of the year. 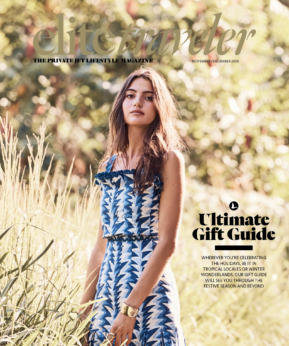 We sat down with Charles “Buddy” Darby III (you might know him as the developer of the stunning Kiawah Island in South Carolina), who explained that this came about due to the unusual history of the marina — it used to be a completely enclosed pond. “Like a countryside estate with a pond, you own that pond and the bottom of that pond. So, when it came time to breach the dyke and open the marina, we were able to deed the bottom like a plot to owners.” This creates a remarkable opportunity for yachtsmen that are attracted to the tropical setting of St Kitts, but don’t want to invest in a depreciating asset that they won’t even own in a few years. 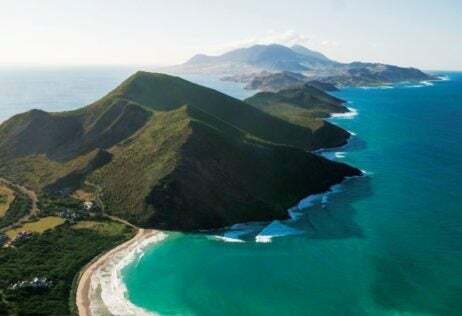 Berth ownership at Christophe Harbour has another financial benefit as well, as it offers eligibility for economic citizenship via the St Kitts and Nevis Citizenship by Investment program. 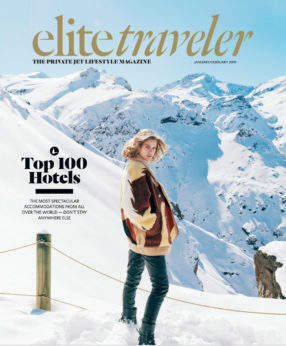 Some of the benefits of this program include visa-free travel to more than 120 countries and no residency requirement, though we’re mostly tempted by the destination marina feel of Christophe Harbour. The lively shoreside village is built for idle wandering and the casual perusing of art galleries, cafes and shops. 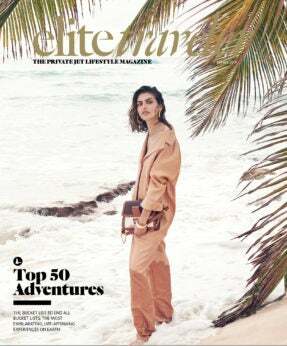 And if you’re keen to get rid of those sea legs, stay in the Park Hyatt St Kitts Christophe Harbour hotel, the Caribbean’s first Park Hyatt and home to Miraval’s Life in Balance Spa.